CFO or Cumulative Feature Overview tool is used to identify product features available to you when upgrading to a new release. As we mentioned earlier that recently Oracle converted this tool from a excel based utility to a web based tool. Any user can go to the web based CFO tool and see the differences between 2 PeopleTools versions or 2 PeopleSoft Application versions. 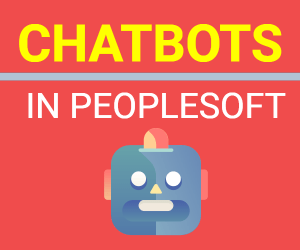 I recently noticed that CFO tool can also be used to identify new features delivered between 2 PeopleSoft Virtual Images for PeopleSoft 9.2 applications. Usually Oracle provides a new PeopleSoft Image every couple of months based on schedule posted on PUM home page. With release of each image Oracle also provides a list of patches and bug fixes provided in that particular image. The list contains 300+ patch information with details of bug id, issue it fixes and other additional information. With web based CFO tool, it’s very very simple to find the new features made available with PeopleSoft Image. Firstly, you need to go to CFO tool by clicking here. 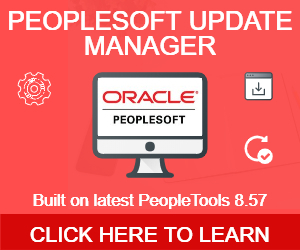 On CFO tool page, select your desired PeopleSoft 9.2 Application. Now you have to select the products for which you want to view the new features. Use the arrows to add to remove a product from the selection. Then finally when you provide the current release and target release, make sure to provide the Image# here to view the differences. 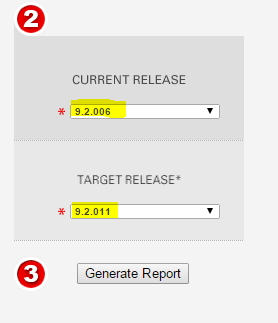 In the below example, I am trying to find the new features delivered between HCM Image 6 (9.2.006) and Image 11 (9.2.11). After making your selections, click ‘Generate Report’. As as result, you will be shown a report of new features introduced between 2 selected PeopleSoft Image release. List will include the Product, Feature , Version of PeopleSoft Image it was introduced in, minimum PeopleTools version required for that bug, bug id and additional information. If there are any additional documents for a particular item, you will be redirected to MOS (My Oracle Support) to download the same. For any video, link will redirect to Oracle’s Youtube channel where you might find more information about that new feature. You can review the features here or can download the result as an excel using the ‘Export to Excel’. Having this information readily available using web based CFO tool is really a nice feature.